Last year April I was diagnosed Type 2 Diabetic….my HB1AC at the time was 133mmol and my weight was 115kg. 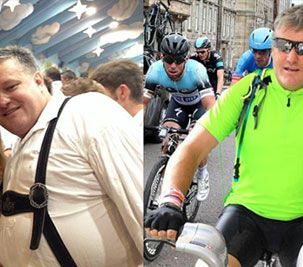 I went on an extensive weight loss program and started cycling. Lost down to 105kg and came off the medication. However no sooner had I cycled 2000 km across the Alps and I started picking up weight again. After Xmas I was back to 114.8kg, that’s when I started banting. Again after following the Banting lifestyle, particularly the low carb part I am back to 105kg and my HB1AC in May was 39mmol ie normal. It is obvious to me that I am carb intolerant and so I will remain a Banting follower. My goal is 95kg. My final comment on Banting is that we are all killing ourselves with carbohydrates especially sugar, so best to avoid them.